Hillfoot have an established track record of supplying steel and associated material selection and logistical services to the power generation industry. A typical product that we serve using our technical understanding and global supply partners is mooring systems. This consists of rolled bar, forged bar and bespoke forgings being supplied to locations around the world. 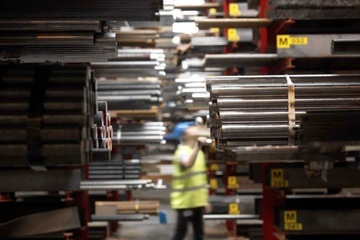 We are involved from design through to manufacture to aid with material selection and steel production criteria to ensure the critical technical requirements are achieved in line with the commercial limitations of the project. This bespoke approach is controlled through the supply chain by means of a quality managed material protocol, listing all key criteria from melting through to packaging. Contact our commercial team for more information about how Hillfoot’s approach could improve your design process.